Congratulations to our friend, colleague, and inspirational/spiritual guide @ChiefCaleenSisk of the @winnememwintu. You are a hero for many, especially women, working in #CAWater. Waiting to see our film in #Michigan? @WGVUPublicMedia in #GrandRapids will broadcast yours truly at 4pm EST tomorrow! On 4/7/2017 Governor Jerry Brown lifts drought emergency, but stress that water conservation must remain a way of life. Learn about drought impacts and efforts to respond in the Kings Basin region. All interested stakeholders are invited to participate in the Kings Basin Integrated Regional Water Management (IRWM) planning efforts. The Authority has adopted a project review process which identifies projects that meet measurable Objectives of the Kings Basin IRWMP. 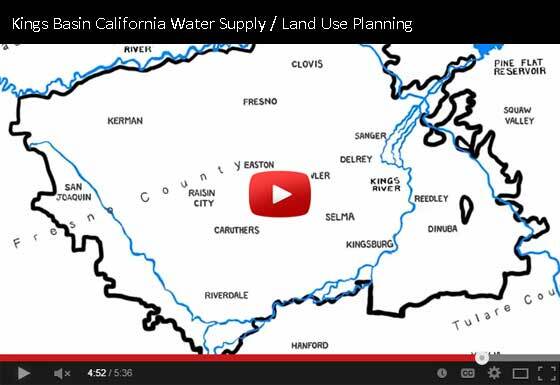 Kings Basin Water Authority provides tools and resources to local land use planners in an effort to help conserve and manage the available water supply through conjunctive use.